Contact Camp Bow Wow Near The Woodlands Area today at (832) 482-9655 to learn more about our in-home pet care options. Date night!! Dinner and a movie, up to 3 hours of TLC time with your pet after they are fed dinner. Any service needed for your home, pets, or plants that can be done in 30 minutes or less is included in this general visit. This also includes home security checks. Specialty animals can also be done, providing the appropriate sitter is available. Play or walk time that is added on to regular 30 or 60 minute visit when extra time is needed. Any service needed for your home, pets, or plants that can be done in 60 minutes or less is included in this general visit. This also includes home security checks. Specialty animals can also be done, providing the appropriate sitter is available. 9:30 PM to 6:30 AM. Evening and Morning feeding is included, as well as walks, if requested. Certified Caregiver sleeps on the premise. Certified Caregiver stays at your residence for 12 hours. 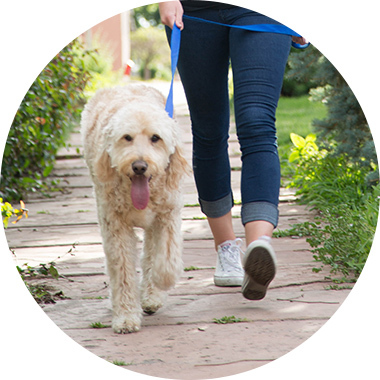 Small amounts of time may be spent away from the residence, much the way a pet parent would if going to the store or leaving for short periods of time to run some errands. Doesn't necessarily have to be overnight. Certified Caregiver stays at your residence for a full 24 hours, and will be eating and sleeping there. Some time may be spent away from the residence, much the way a pet parent would if going to the store or leavings for short periods of time to run some errands. If you request our caregiver does not leave at all during any of our extended visits. Additional service fee paid per visit on a holiday. 50% deposit may also be required to book holiday visits. Paid to Certified Caregivers to cover the cost of travel to clients outside of our normal service areas. Shot given during a scheduled visit, which requires a highly skilled caregiver. Must be scheduled in advance.